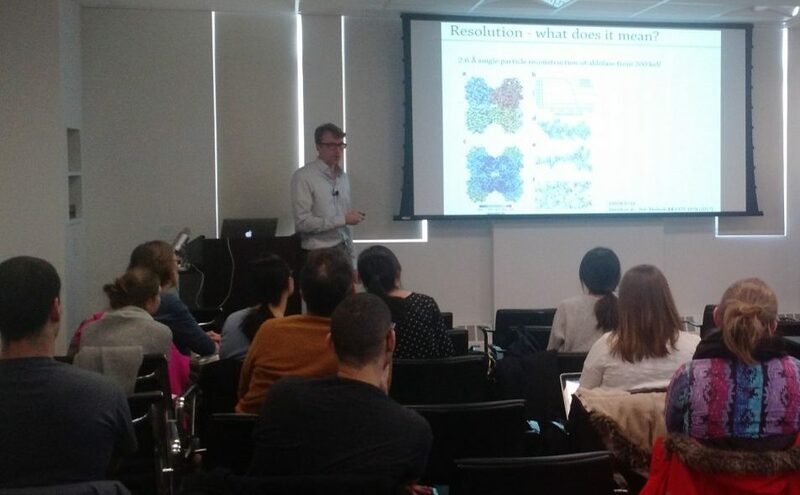 On March 19th, Rich Hite wrapped our single particle analysis section of the course by discussing how to interpret cryoEM maps and the limitations of the technique. Rich is an assistant professor at MSKCC. As part of his research he uses single-particle cryo-electron microscopy to investigate the mechanisms of intracellular ion transport.